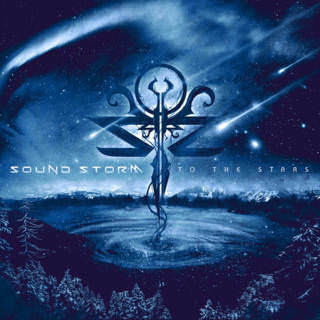 Formed in 2002, and hailing from Turin, Italy is symphonic power metal group Sound Storm. Having released several albums the band is back with their new single To The Stars after some line up changes, including the addition of two new vocalists - Andrea Racco and Chiara Tricarico, the latter who many will recognise from her days with fellow Italian power house Temperance. I must have listened to To The Stars several dozen times over and over again, there's something powerful, sincerely romantic and utterly catchy about this song. The vocals are flawless and absolutely blow me away, the contrast between - and blend of - the voices of Andrea Racco and Chiara Tricarico is absolutely stunning and compliment each other to the highest degree. If anything, the vocals are the star attraction of this song. The way Chiara Tricarico switches between lighter, almost airy, sweet and high vocals and her more power timbre is so smooth, she makes it seem effortless. Her range is truly astonding and To The Stars captures it in a truly magnificent way. Contrasting Chiara's voice with that of Andrea Racco's silky smooth, almost bass-baritone vocal style and the way he switches between beautiful notes and brutal growls - we get a complete picture that is absolutely marvellous, eargasmic even. Enough about the vocals! Musically the song itself is in a similar vein to some of Temperance's earlier works, combining spinning electronic sounds, dynamic keys and crunching guitars - yet, there's a certain magic here that makes the song punch! If we are comparing the styles of the two bands, I will hold my hands up and say that Sound Storm have produced something even better.